Mega Production is a 501 3 (C) non-profit cooperation dedicated to promoting, inspiring and motivating emerging dancers, models, and musical artists. 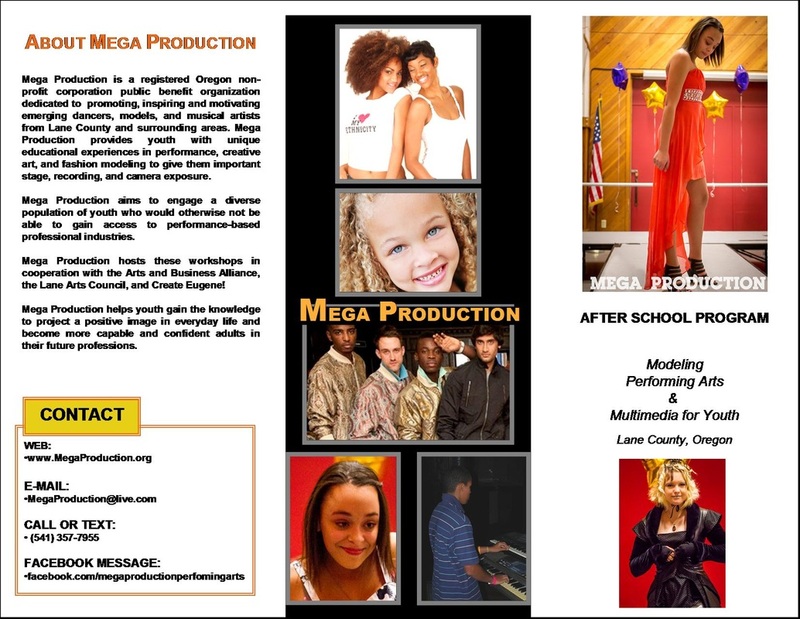 Mega Production provides youth with a unique educational experiences in performance, fashion modeling to give them important stage, recording, and camera exposure. Mentor ship is our way to help guide our young people for a better future. Self defense, etiquette, self motivation, positive influence is the best way to help with charter building. Mega Production engages a diverse population of youth who would otherwise not be able to gain access to performance-based industries. It helps youth gain the knowledge to project a positive image in everyday life and become more capable and confidant adults in their future professions.